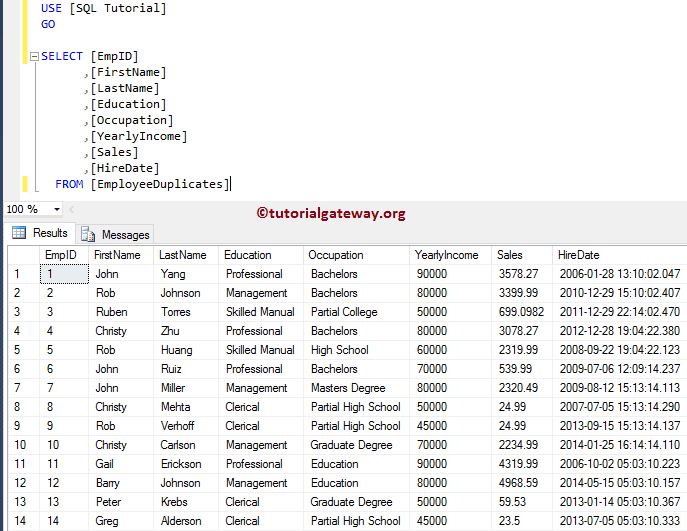 How to Swap Column Values in SQL Server? 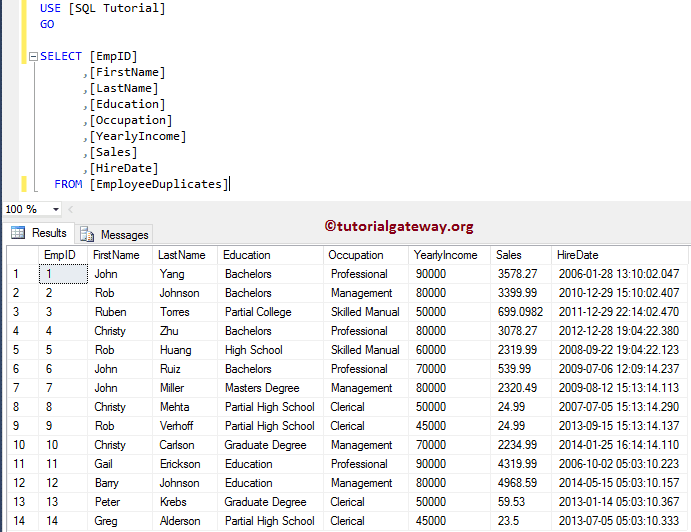 Please use the below shown query to swap two column values in SQL Server. Let me show you the updated records. 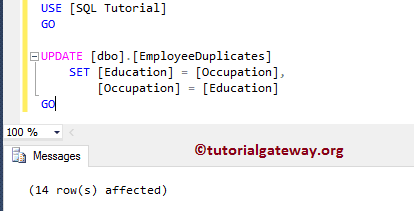 From the below screenshot you can see that the information in Education column is stored in Occupation Column. And data inside the Occupation column is stored in Education column.